In the early 1990s, Sega had a 6% market share in the US whilst Nintendo had 94% – but by the middle of the decade, the Mega Drive had become one of gaming’s great success stories, with 65% market share. How did it happen? And that’s exactly what happened. In September 1990, a TV ad was screened coast to coast, showing clips of Super Monaco GP, Joe Montana Football and Moonwalker, the voiceover proclaiming the awesome power of the new machine. Katz set out his stall in style: the Genesis represented the birth of a powerful new vision of gaming, so it didn’t need to compete directly with the outdated NES; the console had its own, original games that gave modern gamers something different. And this message was encapsulated perfectly by the ad’s ending – a single slogan suggested in a meeting one afternoon by a copywriter at Bozell, a slogan that would resonate throughout the ‘90s and fundamentally alter game industry sensibilities: “Genesis does what Nintendon’t.” It was brilliant – provocative, feisty, irreverent – and it laid down the gauntlet. But it wasn’t just about the technology, it was about attitude – Sega wasn’t Nintendo, and it didn’t want to be. Nintendo didn’t do licensed sports sims. Nintendo didn’t do violence. Nintendo didn’t have Michael Jackson. Sega did. This first TV ad was the opening salvo in Sega’s battle with Nintendo, and it made it abundantly clear that the Genesis was moving the goalposts. “With this kind of advertising, you need the ammunition,” says Katz. With the strategy in place, what Sega needed was an icon that embodied its bold new values, one that could go head-to-head with the likes of Nintendo’s world-conquering Mario and put clear blue water between it and its rivals. That icon – who would come to exemplify the Mega Drive’s particular blend of attitude and bravado – was Sonic the Hedgehog. The origin story is the stuff of legend. With the Super Nintendo launch looming, Phantasy Star veteran Naoto Ohshima had already started work on an offbeat animal character with programmer Yuji Naka. “We initially chose a rabbit … and then experimented with further ideas – an armadillo and a hedgehog,” says Naka. “Ohshima-san’s hedgehog illustration was very stylish and best represented the speedy qualities we were looking for.” Sega management went for it and the character evolved, taking aspects from manga as well as Western cartoon characters like Fritz the Cat and Mickey Mouse. 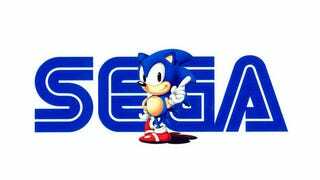 Sonic’s blue colouring matched the Sega logo, but along with his fiery red trainers and big white eyes, the final design also made subtle reference to the US flag. Released in the US on 23 June – a full month before its launch in Japan – Sonic was a smash. Everyone understood that this was something new and important. “Sonic has thrown down the gauntlet to Mario in a big way,” wrote C+VG magazine in its ecstatic review. “Everyone’s favourite Italian plumber must be feeling just a little washed out.” Inspired, Kalinske went over to Sega of Japan and announced his plan to bundle Sonic with the Genesis, while reducing the price of the console to $149. He saw this as the perfect way to detract attention from the US launch of the SNES and secure more precious market share. The response was explosive. “The Japanese board thought I was nuts,” says Kalinske. “They said, ‘My God, we don’t make any money on the hardware as it is. If we give away the best title, you’re taking the software profit away. It’s crazy!’” But Nakayama remembers the ambition of Kalinske’s proposition. “At that time the software buying rate in the US was, on average, three games to one piece of hardware,” he says. “But Sega of America believed that even if we sold the unit with Sonic under cost price, they could cover the loss and make a profit on future sales of software.” It was the loss-leader philosophy taken to its very extreme. All images courtesy of Read-Only Memory’s Sega Mega Drive/Genesis: Collected Works.